Ideal for first-time road riding - the Energy Comp Outsole is constructed from a combination of fibre glass and nylon for max rigidity, and with a low profile for optimum foot positioning. Comfort with style - The Lace closure offers precise adjustment with contemporary style. The elastic on the tongue keeps the laces in place throughout your ride. The OrthoLite® insole offers maximum comfort to the soles of your feet. Whatever Mavic shoe you buy, there's one thing that stays constant: our trademark Mavic fit. It's been fine tuned over the years to work in harmony with your foot as you ride. 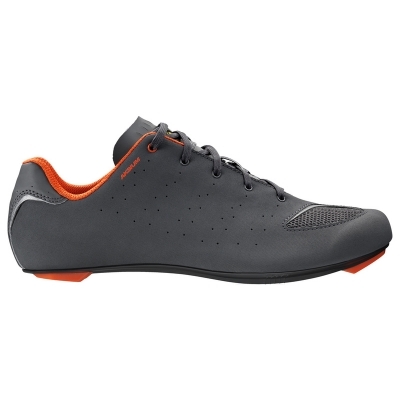 The Aksium is a basic endurance shoe with that Mavic fit – designed to give you the perfect start in road cycling. The Energy Comp Outsole, made from fiberglass and nylon, gives the shoe a rigid structure that holds you tight to the pedals for great power transfer. Meanwhile the three Velcro straps and Ortholite® insole make sure your feet stay comfy and vibration free even on the longest rides. 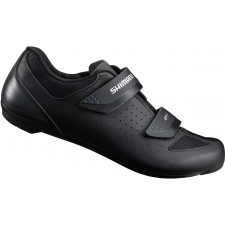 It’s a great shoe for first time buyers, and a back up for all riders. Easy and relaxed, but tough enough to last year after year. 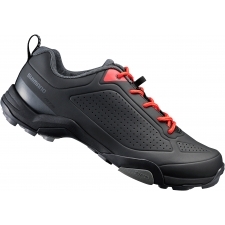 Buy your Mavic Aksium III Road Shoe, Asphalt/Orangeade/Black from Revel Outdoors.